AV6416 is the newest palm-OTDR based on FTTx network testing, which is small, lightweight and rugged. 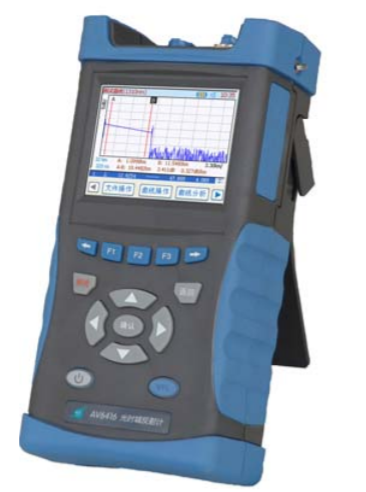 AV6416 offers three wavelengths and VLF in one handheld unit, especially for testing passive optical network(PON) in FTTx. AV6416 can search and locate the events and faults in trace rapidly and precisely, and then lists all events in even table, so it´s very useful to maintainers to improving efficiency and it´s unnecessary to know about the relative background knowledge. AV6416 offers powerful function of file management. Besides saving,browsing or deleting files to or from USB stick and built-in memory, it can be connected to laser or inkjet printer based on PCL language, and the testing report can be printed rapidly and easily. In addition, AV6416 can communicate with PC using ActiveSync via USB cable, through which the files can be translated rapidly. 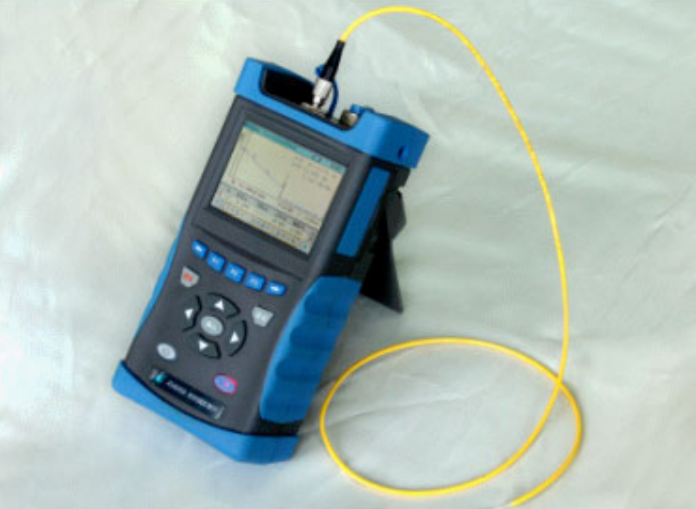 AV6416 Palm OTDR is mainly used to measure FTTx network, it provides a low cost solution for users. AV6416 offers three measuring modes: manual mode (including real time mode and average mode), auto mode and dead zone mode. Manual measurement mode: manual mode is suitable for skilled operator who is familiar with the instrument. In this measurement mode, to get more accurate results, real-time mode or average mode can be selected if necessary. In real-time mode, the dynamic changes of fiber chain can be detected timely, it is very useful when you need to observe the effect and process of fiber being spliced or connected. In average measurement mode, the noise in trace can be suppressed, and the SNR(signal noise ratio) is improved, therefore,the result is more accurate. In fact, the more average times is executed, the more noise in trace is suppressed, and the longer time is spent for signal processing. In practice, the average times should be set properly according to necessity. Auto measurement mode: the optimized measurement conditions are set automatically, it´s unnecessary to operator to know about the complicated background knowledge and the further details of operating. In this mode, the more accurate results can be gained when proper average times are set, but it will increase the time of signal processing. 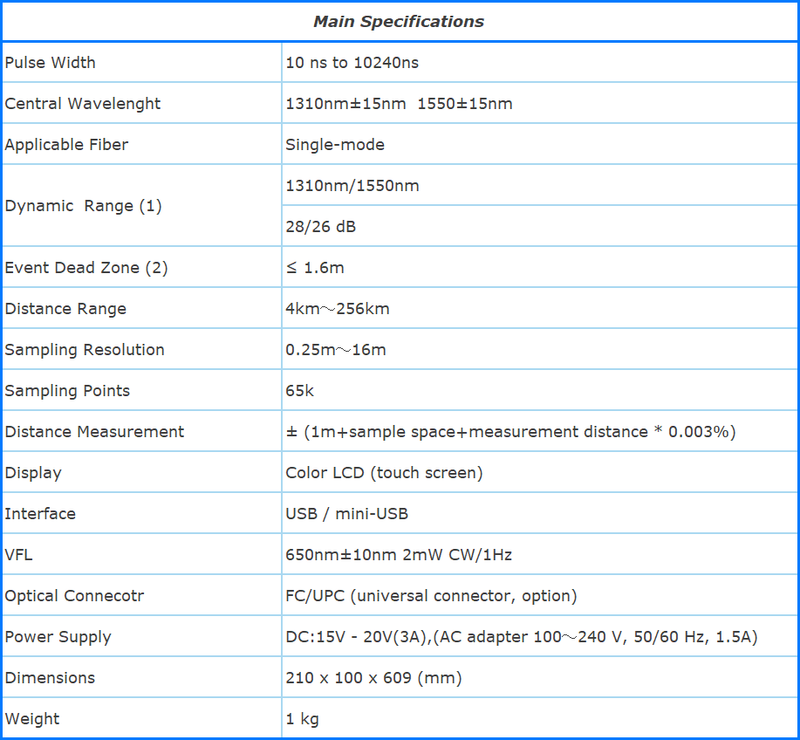 Dead zone mode: this mode is suitable for testing optical fiber with short distance and the optimized settings of distance range, pulse width and attenuator can be executed automatically. To get the best result, the terminal return loss should be guaranteed less than -40dB.